Kanika Kapoor is an Indian Playback Singer who received fame after two successful songs "Jugni Ji" (2012) and "Baby Doll" (2014). Learn more about Kanika Kapoor's life wiki age biography family husband children details here. 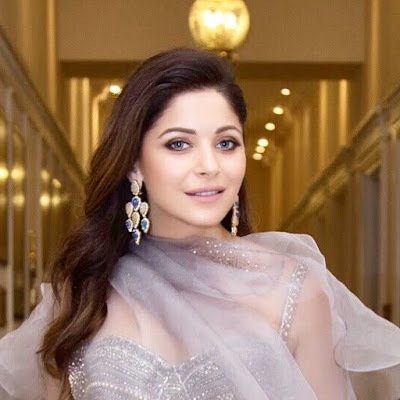 Kanika Kapoor was born on 21st August 1978 in Lucknow. She was born to businessman Rajeev Kapoor and Poonam Kapoor (who runs a boutique). She has an elder brother name Sasha Kapoor who owns a company in London. 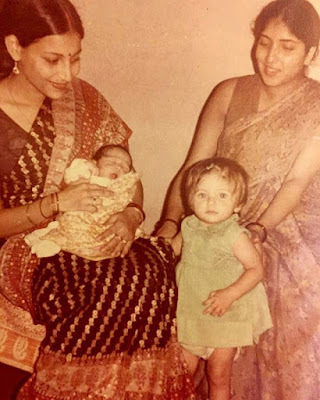 She was married to Dr. Raj Chandok in 1997 (moved to London) and gave birth to three children Aayana, Samara and Yuvraaj. 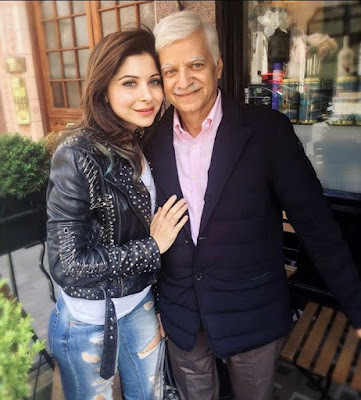 The couple got separated in 2012 due to some personal issues and Kanika decided to come back to Mumbai. Also Read: Rohan Shrestha Wiki Biography -Shraddha Kapoor's boyfriend. 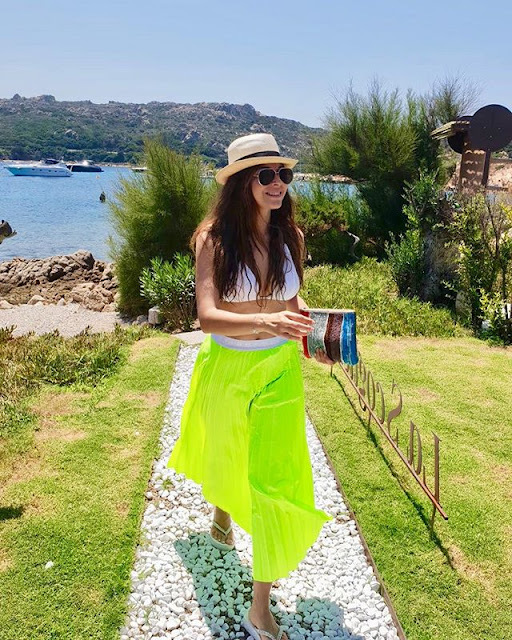 Kanika Kapoor has a charming look with brown hair and grey eyes. She is 5ft 5inches tall and weighs over 56 Kg. Her figure measurement are 33-25-34. 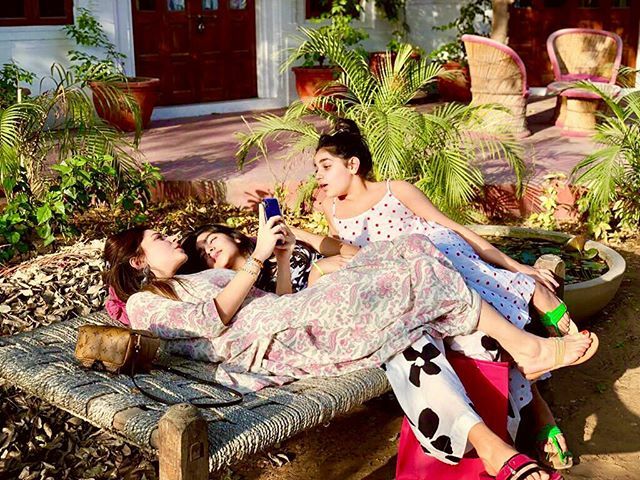 Kanika Kapoor was brought up in a Khatri family in Lucknow. She completed her schooling from Loreto Convent, Lucknow. She did her graduation and masters in Music from Bhatkhande Music Institute at Lucknow. She married businessman Raj Chandok in 1997 and moved to London, where she gave birth to three children. After getting a divorce from Raj Chandok in 2012, she relocated to Mumbai to become a singer. From her childhood days, she used take participate in school singing competitions. She started to study classical music under musician Pandit Ganesh Prasad Mishra from Varanasi at the age of 12. She also worked with Anup Jalota, the famous Bhajan Kirtan singer. In 2012, Kanika Kapoor released her first single video song "Jugni Ji" which is a remake of "Alif Allah". Upon the release, "Jugni Ji" went on to become one of the biggest singles of 2012 and she earned the Brit Asia TV Music Award for Best Single. In 2014, she was offered by Meet Bros Anjjan to sing the song "Baby Doll" from Ragini MMS 2, her first Bollywood singing debut. This song also went viral upon released. In 2015, she sang the song "Chittiyaan Kalaiyaan" from Roy movie. Other popular works includes "Nachan Farrate" for the movie All Is Well, "Neendein Khul Jaati Hain" for the film Hate Story 3. In 2016, she was made brand ambassador of Swiss Watch manufacturer 88 Rue du Rhone, an independent brand by Raymond Weil. In 2017, she sang the songs like "Shake Karaan" from Munna Michael and Abhagi Piya Ki from Tera Intezaar movie. In 2018, she sang song "Chodd Diya" from Baazaar movie. Brit Asia TV Music Award (2012) Best Single for "Jugni Ji". BIG Star Entertainment Awards (2014) Most Entertaining Female Singer for "Lovely" from Happy New Year. Filmfare Awards (2015) Best Female Playback Singer for "Baby Doll" from Ragini MMS 2. Global Indian Music Academy Awards (2016) Best Female Playback Singer for "Chittiyaan Kalaiyaan" from Roy. Kanika Kapoor's favourite actors are Leonardo DiCaprio and Hrithik Roshan and all time favourite actress is Deepika Padukone. Her favourite musicians are A.R. Rahman and Justin Bieber. She loves to travel a lot. She received her singing lessons from Pandit Ganesh Prasad Mishra. She was very close to Anup Jalota, as her father and Anup Jalota is childhood friends. She become popular after "Jugni Ji" and "Baby Doll" song.